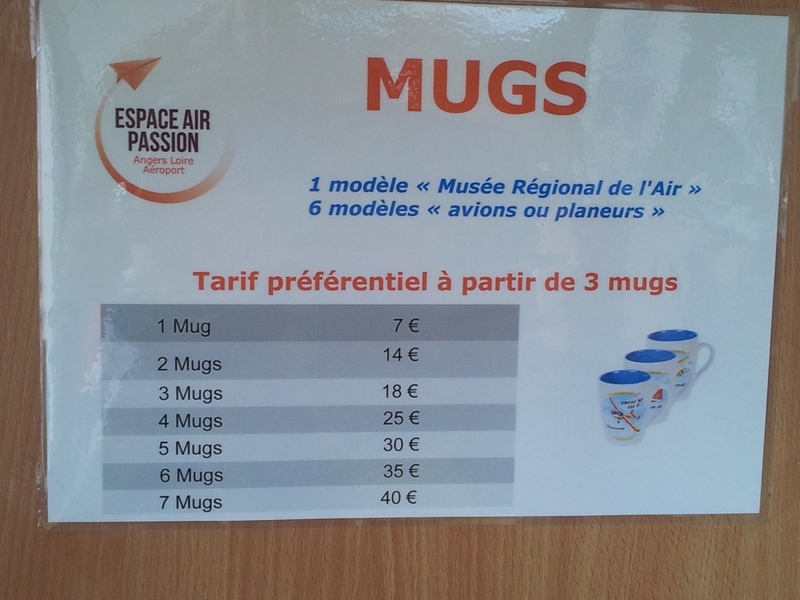 Last week, ahead of the start of the Le Bourget air show, the French portal Challenges.fr, published an article “Le vrai prix des avions d’Airbus et de Boeing” with an interesting graphic showing a comparison of the prices after discounts of commercial aircraft both of Boeing and Airbus. 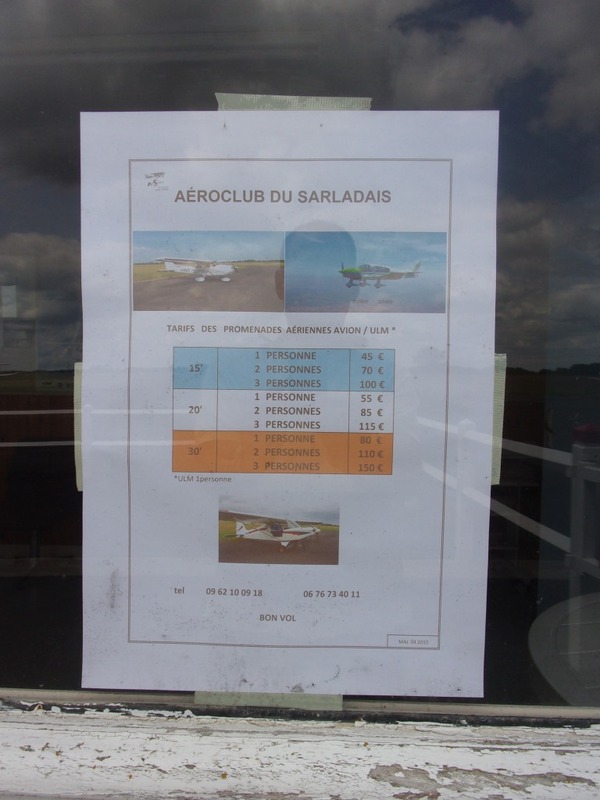 Commercial aircraft discounts according to “Challenges”. In order to make the graphic, Challenges quotes as sources the consultants of “ASCEND Worldwide” (which has the industry-reference database of world commercial aircraft fleets) and unnamed companies (airlines such as American, Delta or Southwest, as per declaration of analysts quoted in the article). 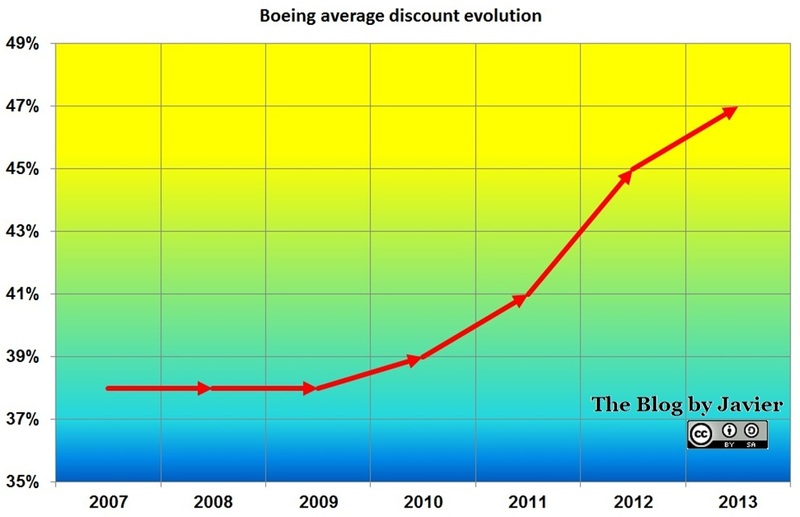 I have published in this blog yearly estimates for the average discount that Boeing applies to its aircraft. Find here the latest of that blog posts. In that post I arrived to an estimated average discount of 45%. 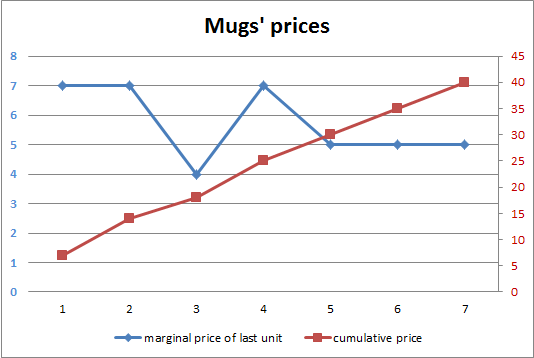 Thus, when I read the article by Challenges I first thought “too high, to be average prices”. 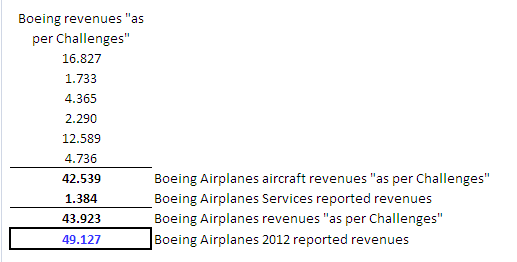 I thus run the reverse calculation: departing from Challenges “market prices” I calculated what would have been Boeing Commercial’s 2012 revenues (1). 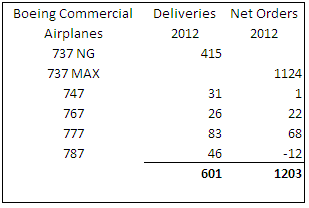 Boeing 2012 deliveries and net orders. 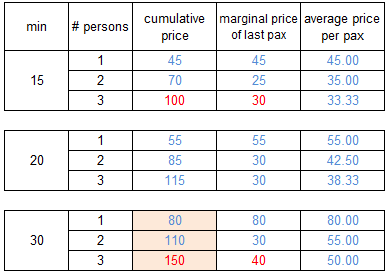 Boeing prices as per Challenges (767 added with the same discount as the 777-300ER). Boeing Airplanes revenues “as per Challenges“. Having run the numbers, I find the estimated value of 2012 revenues for Boeing Airplanes as too low (44bn$ vs. the reported 49bn$) using aircraft “market prices” as published by Challenges, as I first thought. I guess that the figures that Challenges published refer to the higher discounts having recently been applied, to the biggest customers making the biggest orders, such as those mentioned in the article (American, Delta or Southwest). Thus, I would not take them as average or market price, those are the prices that a few can get. (1) A couple of considerations must be made: Challenges does not publish any market price for 767s (the same discount of the 777-300ER was used), and does publish only one price of 737NGs or 777s; thus the result will not be very accurate.